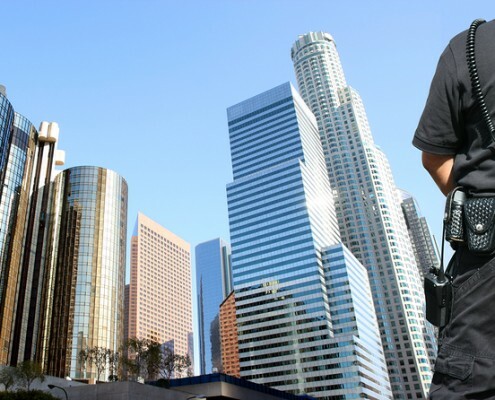 Having Centurion Security professionals at your office location will allow your employees to focus on their core competencies and provide you an environment that promotes safety and security for all. Building, facilities and operations managers understand that security in the workplace is more important than ever. Corporate office buildings and campuses face several unique situations that impact safety, profitability and efficiency. OSHA regulations, accessibility issues, emergency response and the changing needs of workers leave little room for error in managing building operations. Building managers rely on effective security measures to protect people and building assets and ensure that losses do not jeopardize worker satisfaction or operational efficiency. Centurion Security can help you achieve this goal and provide corporate building security in Utah that will actually add value that offsets the cost of your security and safety programs. Your personnel are a top priority and whether it’s walking employees to vehicles after hours or handling unsavory situations in the workplace, Centurion Security addresses these situations which allows you to focus on addressing resolving these situations appropriately and professionally. You expect security personnel to positively reflect your company image to your workforce, customers, vendors and the public at large. Centurion Security wants to ensure that every member of your site security team conveys a professional presence and compliments your corporate values. Our Utah corporate building security officers can perform many office duties that include answering phones, issuing visitor ID badges, checking vendors in and out, escorting visitors to the correct destination within your building and even walking employees to their cars late at night. Your company puts emphasis on certain policies and procedures for good reason, but sometimes there are those employees that might need a little extra help or a reminder. Employee morale can be a delicate thing. Centurion Security professionals can save you those awkward conversations that could damage a working relationship. Allow us to be the “go between” to help educate, remind and even elicit the cooperation of those employees, vendors or visitors. You want the peace of mind knowing that your property is properly secured after hours and ready for business at the start of each work day. You will want a security company that you can depend on to lock and unlock buildings at predetermined times you specify. Thefts and assaults occur with alarming frequency at even the best commercial properties. Today’s litigious legal environment demands that you take seriously the responsibility to protect your employees, visitors, vendors and business associates against crime; and you need your security partner to provide a professional deterrent to help you meet that responsibility. Statistics show that violent crimes against persons and property are frequently made in parking lot areas. Centurion Security understands the various types of unwanted behaviors that can happen and put you at risk. We have security programs as part of our extensive Utah corporate building security services that can help you protect these areas and avoid unnecessary liability. Keep your parking areas and employees safe by having our well trained professionals stop the problem before it starts. When the office closes down for the night, Centurion Officers are doing much more than security. With the vast array of valuable assets on site, it’s important to observe and report maintenance problems in a timely fashion. Your company needs its security personnel to serve as an extra set of eyes and ears to identify potential maintenance and safety issues that can be addressed right away. Centurion Security operates 24 hours a day, 365 days a year. Day or night, we are here to help you choose from one of our many safety and security programs that is just right for you.